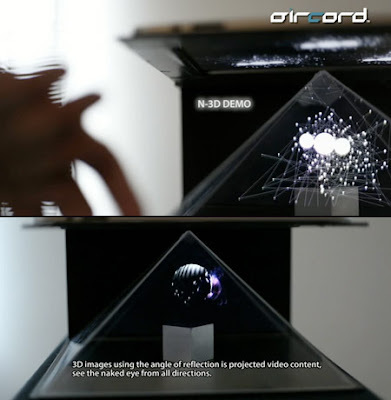 Japan-based Aircord Labo has found yet another creative use for the iPad by using it as a projector to display objects in 3D. While the effect "requires some special hardware, it's still pretty damn amazing." Currently, viewers can move around and view an image as if it was an object literally floating in space.